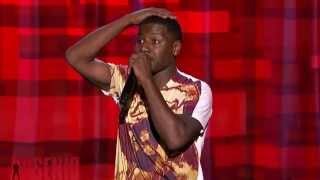 K-Dubb is a very young talented upcoming comedian that loves to entertain people. He tries his best to fit in with the older crowds with him being so young. He started at a young age entertaining his brothers and sisters. At about the age of ten he was making everybody laugh including his uncles, aunts, cousins and friends. His motto is "give me a chance". He grew up in Memphis, TN in one of the worst parts call Orange Mound giving him the versatility to talk in front of anybody. He was first handed a MIC from the popular comedian "Earthquake" at Atlanta's Uptown Comedy Corner, and he knew that the stage was the place for him. He was always smart and talented knowing how to slip in and out of character on stage with no problem, landing standing-ovations around the country. He is respected by all of his peers, loved by his audience, looked up to by his family. K-Dubb frequently plays comedy clubs and colleges across the country such as The Improv Miami, West Palm Beach, Sugar Ray's House of Comedy, Newark, NJ, Jokes On Us, Baltimore, MD, The Improv, New York City, and many more. He has opened for comedians Mark Curry, Sheryl Underwood, Mike Epps, and Chris Tucker. K-Dubb so far has appeared on HBO P.Diddy Bad Boys of Comedy in 2005, and BET Comic View 2004. He also knew that he was the funniest man in the world besides some more people. He is least one of the funniest people or soon to be. Pound for pound "K-Dubb" is ordained to be the greatest comedian of all time.